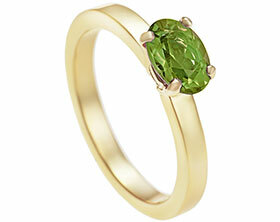 This ring was designed as a 21st birthday present for Rosie. 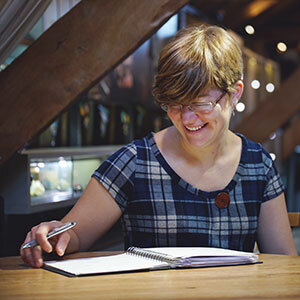 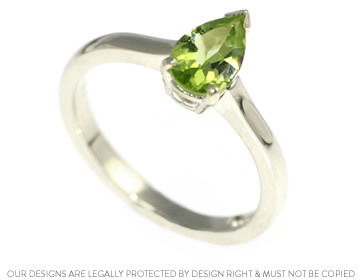 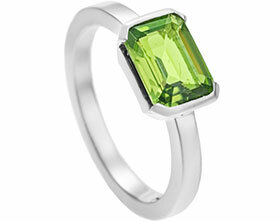 She wanted a peridot, her birthstone, and really liked the shape of the pear cut stones. 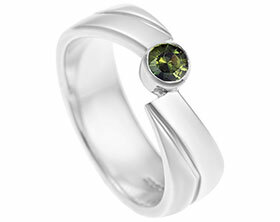 We came up with a simple 9ct white gold ring with a straight 2mm wide band and a 8x5mm pear cut peridot in a claw setting. 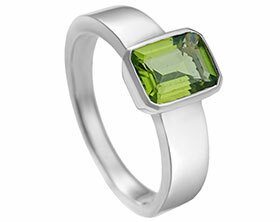 The band has a D shaped profile with the depth increasing slightly up to the stone. 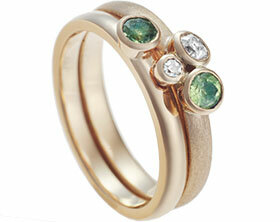 A pair of bespoke sterling silver friendship rings.